This footage of baby lambs kidnapped from their moms was filmed on a sheep farm by Glass Walls. At the beginning of the video we can see how the farm worker takes a newborn baby from his desperate mother. Since the mothers are used for producing milk, none of the babies are allowed to nurse from their mothers. This is why all the babies are kidnapped from their mothers soon after birth. After they were dragged away, the newborn babies are kept inside plastic crates. 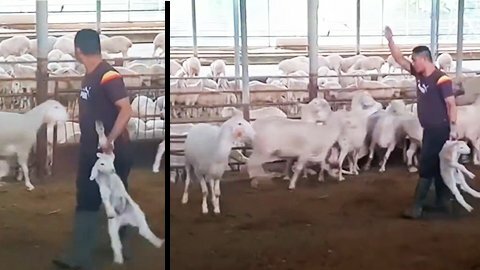 As the video advances, we can see that one poor lamb lost his tail, and that babies are injured and covered with flies. The male lambs that survive this brutal separation from their mothers will be sent to slaughter and sold as meat. The female lambs will grow to replace their mothers. The poor mother sheep who are used for milking are always either pregnant or have just given birth. They are inseminated against their will by the workers, and all of their babies are kidnapped. 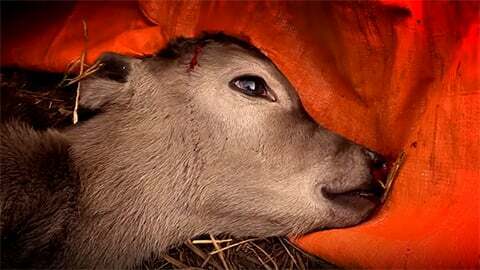 To top this emotional torture, the mother sheep also experience daily physical pain. In order to make the dairy farm more profitable, this farm (like all other dairy farms) uses a breed that was genetically altered to make huge amounts of milk, at the expense of the sheep’s health. The poor mother sheep are milked twice a day, by aggressive milking machines. 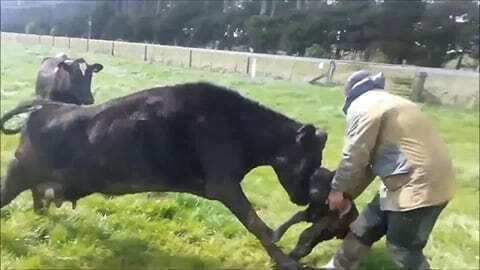 Even if they express feeling pain, they are always milked. After a few years, the mother sheep are sent to slaughter as well, at a fraction of their natural lifespan. Their daughters whom they never met, will take their tragic place instead. Although the sheep farm in this video is located in Israel, the things that are seen in this video happen in sheep farms all around the world. What can we do to help sheep and lambs?